As a member of our community, you belong to a group of individuals who are uniquely dedicated to this remarkable institution. We strive to consistently provide you with the very best alumnae experience. To this end we kindly ask that you take a few moments to participate in the following CHS survey. Your feedback will be used to revise the Alumnae and Advancement program to best fit the tastes and preferences of you, our valued graduates and supporters. The Mentoring Program at Cathedral High School gives current students the opportunity to learn from CHS Alumnae and other Career Professionals, to receive advice and encouragement while completing studies and pursuing college preparatory programs or professional careers. The mentor’s role is to inspire, inform, guide, and support students through these critical transformative years. The goal is for mentors and mentees to form a reciprocal, trusting relationship in order to share industry information, personal experiences, and subject knowledge that can be difficult to find elsewhere. If you&apos;re interested in participating in our Mentoring Program, please contact rgutbrod@cathedralhs.org. Attend or Host a Regional Reception! If you can&apos;t make it back to NYC this year, look for CHS in a city near you! We are planning a series of Regional Receptions throughout the USA. Attending a regional event is an excellent way to build and grow social and professional networks, remain informed about news from the school today, and to display pride in your alma mater. We’re currently in the process of planning this year’s schedule of regional gatherings, and specifically are looking in Boston, Florida, and the Greenwich CT area. 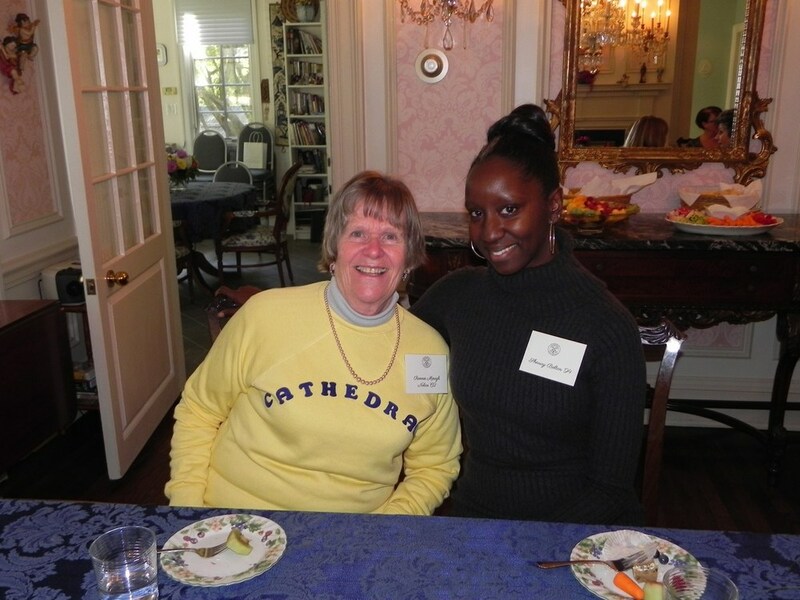 If you may be interested in hosting a local alumnae reception, contact the CHS Development Office, rgutbrod@cathedralhs.org.